Any excuse to have a party, and why not! 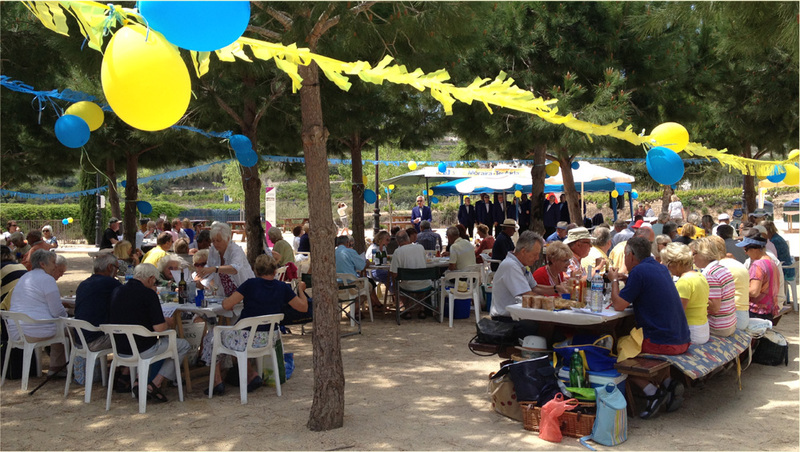 On Monday 6th May, under the shade of the trees at Font Santa, some 200 of our members gathered to enjoy a good old fashioned "Picnic in the Park", to be entertained by a contrast of music with a difference. 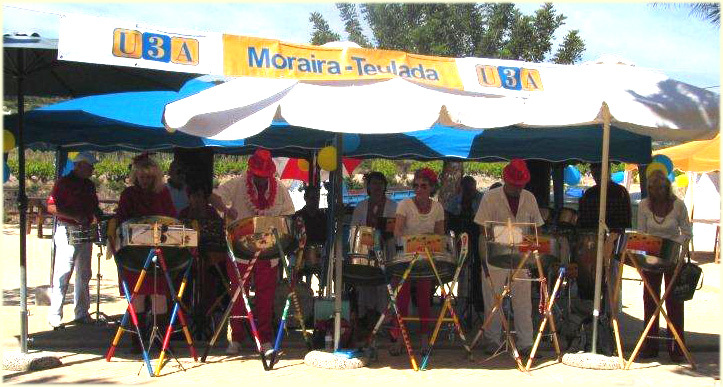 On our arrival, the sound of Caribbean style music from the Poco Loco Steel Band, from Calpe, was in full swing. The party mood atmosphere was on from the outset. The sun was shining from a clear blue sky, with only a light breeze. Just perfect, and just as we had ordered! 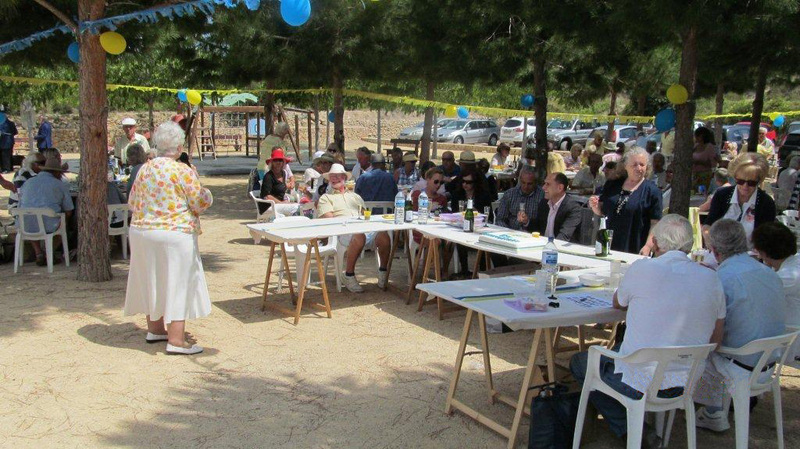 A number of honoured guests had been invited, as being founder members of our U3A, and, together with them, we were delighted to also welcome the Mayor, Antoni Joan Bertomeu Vallés, and the Deputy Mayor, Sylvia Tatnell. They had purposely made time in their busy working schedules to join us in our celebration and clearly, in their address to our gathering, they also thoroughly enjoyed the occasion. 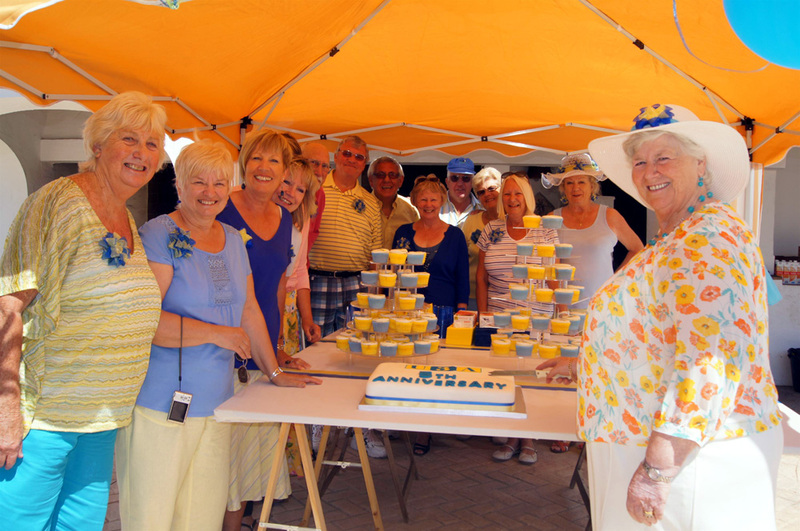 To celebrate the event, there was a glass of Cava for everyone, together with a cake with the U3A insignia. We all then began to tuck into our picnic lunches or, should I say, banquets that many had prepared. The party was in full swing, whilst we listened to the Costa Barber Singers ..... a complete contrast in music style, and just perfect whilst we were all quietly eating our picnic lunches and wracking our brains over the Quizzes. How many of you spotted our President in the picture quiz? Finally, Barry Peters entertained us with popular songs from the 50's to 70's. Barry's choice of songs was just perfect, certainly in raising the jollity to an even higher level of enjoyment. 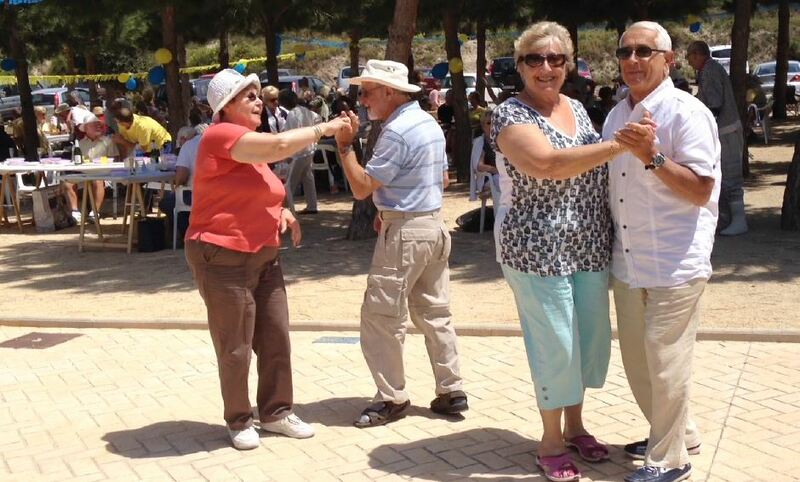 Have we ever seen "Dancing in the Park" before? Well we have now, with so many of us taking to the floor or, should I say, the shale. No doubt about it as to how much we enjoyed the occasion. 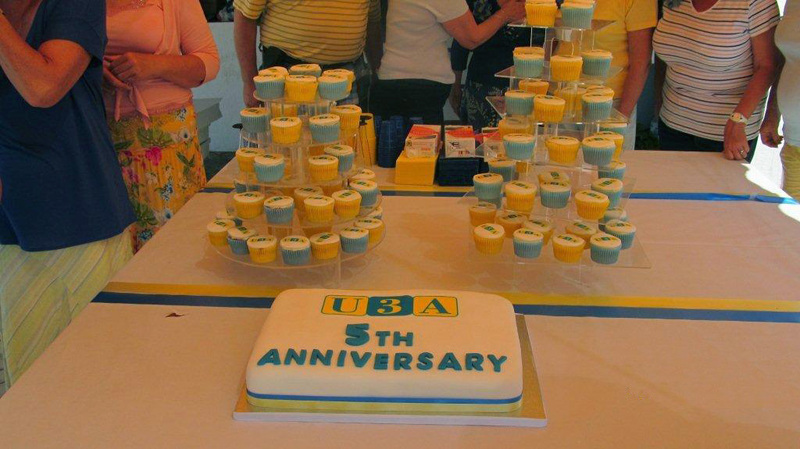 And that summed up the day - a celebration of 5 years of our U3A which we all thoroughly enjoyed. In fact, I could say .... "Didn't we have a lovely time, the day we went to Font Santa"